If you have been with me for a while you know this one thing to be true-- I LOVE SHEIN.COM. It's one of the best fast fashion sites for the plus size diva. The only problem, before now, was that it was Asian based in sizing which meant that it ran small. That has all changed since debuting its own plus size section. It's an admittedly smaller section, but so far, it's so good! Scroll for my top picks and click the pieces you're most interested in. The overall looks from the section gives you a vibe of Forever21 meets River Island. It has a great balance of trend and classics. It does have some typical "big girl" picks, but there are actually pieces that are fly that aren't in the standard section. Go figure. What I love most about this is that it offers everything from formal pieces to ultra casual. It allows the plus size diva to actually have options. The sizing still needs to improve, but it goes up to about a size 20/22 or 4XL. They also give you the model's measurements which is the transparency that many online shoppers long for. You can finally see how the clothes fit what body. Overall I give them a solid 8 out of 10 overall. Y'all might see me in a few of these picks real soon. 👀 With everything under $50, you can't beat the styles. Which piece was your favorite? Let me know in the comments. On October 24, White House Black Market tossed their hat in the Plus Size ring with the release of a Plus Size line . According to the company, “From day one, White House Black Market has been about women — it’s a brand born of women, led by women and dedicated to serving women — so it was a natural fit to expand into Plus so they can make every woman feel confident and powerful to take on their day,” After viewing what they have to offer, I will say that they may be an up and coming contender in the Plus Size arena. Keep Scrolling for my top picks and details. The Plus Size line is offered exclusively online (Insert eye roll) but it goes up to a size 24W , which translate to usually size 26 or even a smaller 28. The price range is lower to mid level range, with the most expensive piece being $226. the overall feel of the collection is definitely Fall and Holiday inspired. Pros: I appreciated that they tapped into some of the current trends this season with the velvet, fall florals and reds. They also have multiple cuts of pants and not just one type of dress. The effort and true variety is refreshing. They also have a pretty good balance between standard , classic cuts and playfully styling the trends. Cons: Some of the cuts were not aligned with the usual you expect from WHBM, which is more of a tailored polished look similar to Talbots. I'm also weary of some of the use of florals. I love the red rose print, but the other florals are honestly borderline scream "ugly big girl clothes". Overall I am pleased that a quality brand like WHBM is offering more inclusive pieces for plus size women. This new trend of expanding into larger sizes, is promising to me and you should check out the rest of the pieces here. Let me know which one was your favorite. I woke up to some very exciting news-- Plus size bloggers Gabifresh and Nicolette debuted their own Plus size clothing line called Premme. With many of the items selling out quick, it's obvious the plus size streets have been waiting on it for a while. I wanted to bring you an honest concise review that include the ins and outs of this barely day old brand. My first thought when glancing around was that this was a clothing line for the younger carefree plus size woman who loves her curves and having fun with fashion. It has a perfect balance of pastels and trends mixed with modernized staples and vibrant colors. The Good: I think what strikes me the most is their sizing systems. They are already one of the most inclusive brands, going up to a size 30. Plus size ladies know that after size 22/24, even the top plus size brands leave much to be desired. They offer all of their pieces up to a size 30. There isn't some specialized line of clothing for them. They are included with everyone else. That in itself is groundbreaking. I also like the affordable price point of many of the pieces. Although the fashion may be trendy, the cuts and accommodations make it on par to be more than a fly by night collab. They also include multiple sized women, their measurements and how they styled them. The not so good: The biggest bummer is that they do not accept PayPal or Stripe. As established as they are, why wouldn't either of these payment platforms have worked? either way, it hasn't stopped folks from buying.lol. The only other downside is the limited number of pieces. I think a good start out collection would have at least 20. With both of their platforms combined over the million follower mark , and Gabby's other highly successful swimsuit line, they had to know they needed more.But having your own clothing line is a serious undertaking. Overall I can tell that this clothing line is leaps and bounds ahead of it's older,larger competitors already. inclusive sizing, detailed model measurements, style tips and nice pieces. ALL a plus. This was designed/created for by and with plus size bodies in mind. It took two experienced bloggers to finally give us what we have been searching for. Congrats ladies!. Find my top picks below and shop Premme here. The Internet is all a buzz about today's official launch of Victoria Beckham's collab with Target. Victoria Beckham is no stranger to fashion--quite the opposite for those of y'all who've been sleeping under a rock. She is a modern day style icon for her sleek, polished style that displays a who's who of high fashion. So when she announced a collab with Target, it took everyone by surprise. I myself was a little apprehensive because Victoria is a very small women and most collabs with Target leave plus size women in the cold. So what is my take on the line as a whole? Keep scrolling. Short story? I LOVE THIS LINE!!! It is definitely a more polished collab than I was expecting. Not because of Victoria but because of Target (I'm looking at you AVA and VIV). The overall vibe is sleek mod hippy chic and the plus section does not disappoint. Let's break this down. Women's/girl's line: There are many different offerings for every type of style from minimalist to quirky. She has a nice balance of color and classic black. I also like the cuts. I'm glad she pushed sheath dresses hard. It is a very flattering silhouette on virtually all body types. A smart move if you are wanting the clothes to be accessible for all shapes and sizes.sizing goes up to size 16, which I think should be standard. I give it a solid 8.5. Plus Sizes: Let's give sis a hand clap real quick. She literally took silhouettes from the main womens line and just did a larger scale form for plus size women. WHAT A NOVEL IDEA: GIVING PLUS SIZE WOMEN THE SAME CLOTHES AS SMALLER SIZES. WHO WOULD HAVE THOUGHT PLUS SIZE WOMEN ARE WOMEN TOO? *insert sarcasm* While every silhouette is not translated to the plus section, most are. The sizing goes up to Size 26W!! The con: I'm in Chicago and not a single store offer the plus sizes. Ugh... I still think the plus section shouldn't have been separated, but a girl can dream, can't she? I give the Plus section a 7.5. Price point: I have yet to feel the fabric of the items, but sight unseen, the price point is very fair. I guess I still have a chip on my shoulder from AVA & VIV and their crappy quality to price point ratio. Not with Victoria. The plus sizes are not that much higher than the smaller sizes. These release is just in time for easter and I realize that's probably deliberate. I give it a 9. Overall, this line get's a thumbs up with me. I will order one or two pieces and come back with a part 2. Go here and peruse around the collection. I have also shared my favorite Tell me what you think about the collection below. A sick day. A late day. A bloated day. Any off day can make style the last priority on the list. Trust me I understand. Realize that you don’t owe anyone pretty. But for off days where you want or need to look better than you feel, use the following guidelines. I have already talked about having a uniform as a useful tool for styling earlier on the blog. It’s perfect for days like this. You can prep by picking your favorites so when the inevitable crawl out of bed happens, you can throw on and go. The last thing you need to think about is what you’re wearing. This serves 2 purposes. It always will inspire the best part of you. Wearing my favorite pieces peps me up to pair it with the cutest things I can find. It’s definitely a boost to my mood also. Additionally, it’s quality insurance. You know that you won’t be wearing something that looks a mess. Nothing worse than feeling off and putting on something that makes you feel worse. When you look good, you feel better. It’s cliché, but if it ain’t broke, don’t fix it. Now wearing all black does not mean you are wearing a frumpy look. It just makes you look put together and feel at least ok enough not to be self-conscious. It’s classic and, if your closet is like mine, abundant. If the first thing you try on doesn’t work out, there are plenty of other options. Off days are inevitable, but it doesn’t have to mean a bad day. You’ll get it done soon enough and look good while doing it. It's that time again. I have more goodies form one of my favorites shein.com. I love this website for its affordability and accessibility. I'm always looking for other options for plus size women. I can safely say that shein.com can be plus size friendly. Watch the video below for my top picks this round and styling tips. Which piece was your favorite? How would you style them? Leave your comments below. As far as accessories are concerned, I am of the Iris Apfel school of thought: It can make or break the outfit. You can go understated or obnoxious . Whatever style you decide, I have the piece for you. My affordable accessory roundup series is here to assist you in jewelry for all occasions, styles and price points. Watch the video for some of my favorites and keep scrolling for links and pics. What's your favorite piece? Let me know in the comments below. It's time to bundle up and stay warm. Honey do I have the piece for you. Watch the video below and keep scrolling for my top affordable pics. Click pictures to go to buying pages. I'm always looking for quality, trendy bags and purses without a steep price tag. As usual, Shein.com comes through with all of that and more. I have collected my favorite pieces and put them all in one place for your convenience. Scroll for link details. Summer is here and so are some of my favorite picks in this new Try on Haul. Click the picture below to check out the vid for details and keep scrolling for purchasing links. The purpose of this review series is to bring you the good, bad and ugly of online plus size fashion. Through my reviews I hope to bring attention to great under appreciated sites while warning you of sites not in the best interest of a plus size shopper. I was interested because I think I'm the only girl who hasn't bought any of the "trendy Instagram boutique" items. So I quickly went to their sizing Chart. 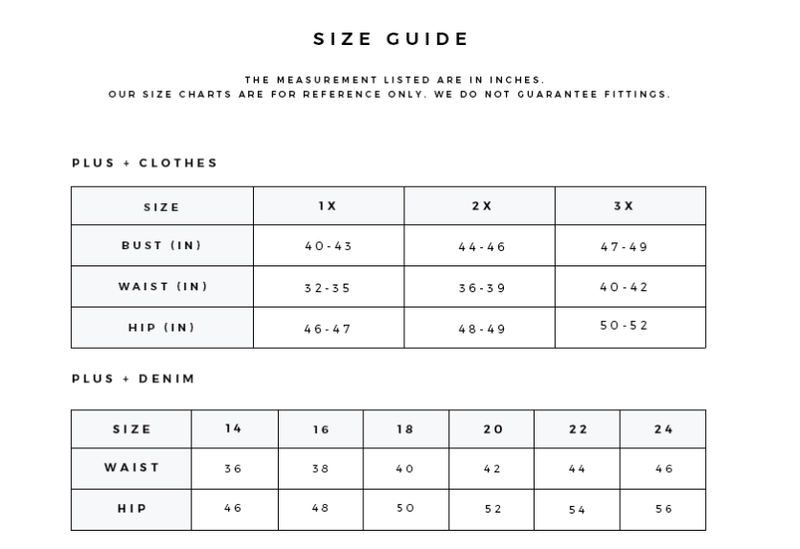 Unlike the trendy Instagram boutiques, Debshops has a very good detailed sizing chart. This includes a measuring instructional. The measurements had gaps in them. (They are missing 3-4 inches between L and XL and 1 inch between all plus sizes) The plus sizes do run big by most size chart standards, which I appreciate. Onto the clothes. The site is very straight forward. I judge a plus size section by their dresses and skirts. I notice rayon--LOTS of Rayon. I realize that this is a "young trendy" site, but it was very little cotton or other thicker fabrics offered. Even the denim skirts were more than 50% rayon. The prices were slightly lower than Instagram boutiques, so I continued to look. There was no place for customer reviews, but there were plenty of pictures. I quickly purchased some cute basics once I realized I could use a 40% coupon code. That sale was definitely a plus. in three colors. (Not my normal move, but they were cute at an even cuter price.) The Pros: The clothes fit amazingly well. I was impressed at the quality of the skirts especially for the price. They were thick and well made. The Cons: The dresses were REALLY thin. Thinner than the standard dress of this kind. I bought them knowing they were rayon. LESSON LEARNED. They fit so well that I will wear a slip with tights and tough it out.:cD. The only other complaint I had was the shipping--8 days. I'm glad my coupon code also provided free shipping because after day 6/7, I would be upset at that extra cost. My overall opinion of Debshops.com ? It's okay. I felt like I got my money's worth for what I was buying and the site lived up to its "About Me" page. It is a little better than your average online store that offers trendy clothing options. The Navigation was easy and, with a coupon code, the prices are definitely competitive.The overall quality was balanced with hits and misses. I will order again, but carefully. Pro Tip: Sign up with them to receive a 20% discount code. Also wait for sales to score great deals on basics. The purpose of this review series is to bring you the good, bad, and ugly of online plus size fashion. Through my reviews I hope to bring attention to great under appreciated sites while warning you of sites not in the best interest of a plus size shopper. It's safe to say that JC Penny is a familiar name to most people in the United States. Beside Sears, it was my go-to store growing up as a young chubby girl. Through recent years, however, there have been many changes in branding and design. I recently received an email from JCP advertising sales and new items, so I decided to rediscover this favorite of yesteryear. Doesn't say much about the target audience of their products, but I guess a company this large could never be that specific. I am familiar with JCP's new pricing and I immediately went to the women's section. I had to use the search bar to find the sizing chart, so I knew I should browse the Women's and Women's Plus sections for clothing. There is one Pro that still holds: JCP still provides clothing options for plus size bodies. Clothing goes up to a 5X (Size 34 W). There are also cons that hold true: The designs are still a bit dated. As a young plus size women, I feel that some clothing companies think small dress size and large sense of fashion have a positive correlation. So untrue, yet the ugly floral prints and ill designed capris are still prevalent. I pressed on to basic shirts and pants. History with JCP has proven that those items are their strong suits.
. They were already 50% off on clearance and I could use a 30% off coupon code. It was a no brainer. My shipping was free and my package came in five days from order. The pants. OH THE PANTS. They fit so well, I actually took multiple selfies. (This is major for me.) I got them in a 18W and a perfect fit. The shirts were of great quality, especially considering the price (just $6 bucks each!). My overall opinion of JCP.com? I was excited and satisfied with my purchase. The site was very easy to navigate. It was also so detailed that it made searching for what you want a lot easier. Their attempts at plus size fashion are still lacking, I can't deny them on their pants. I eventually purchased three different pairs of pants and were consistently pleased. I am adding JCP back to my list of go to places to shops for my pants. If you are plus sized and looking for quality, affordable staples, try JCP.com. Pro Tip: Sign up for their JCP rewards and text updates. You will receive frequent $10/$25 coupons and $10 for every $100 you spend. The first website up for review in this series is eloquii.com. It looked promising, so I looked at the sizing chart next. This would let me know if their sizing ran large, small or not at all. Sure enough I found their sizing to be quite good. It not only gives measurements that are plus size friendly (up to size 28!!! ), but it also shows a detailed guide on how to measure each part of your body accurately. Definite thumbs up. Now it was time to hit the home button and navigate the clothes. 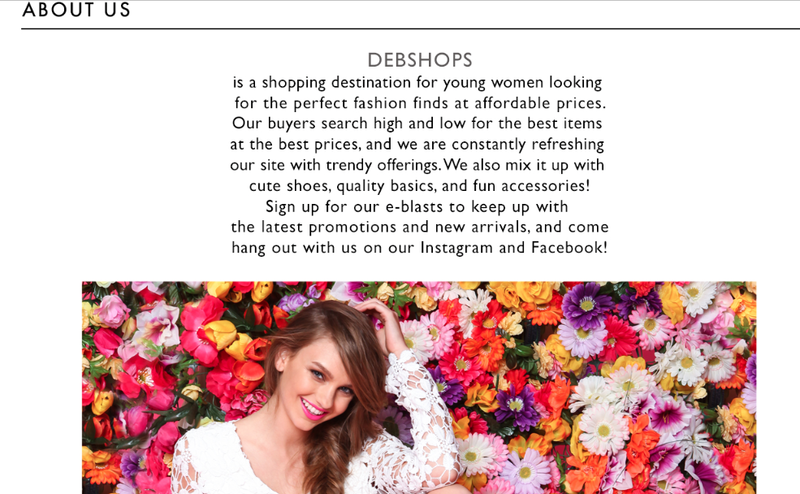 I instantly liked the fact that Eloquii has a banner dedicated to a coupon code at all times. 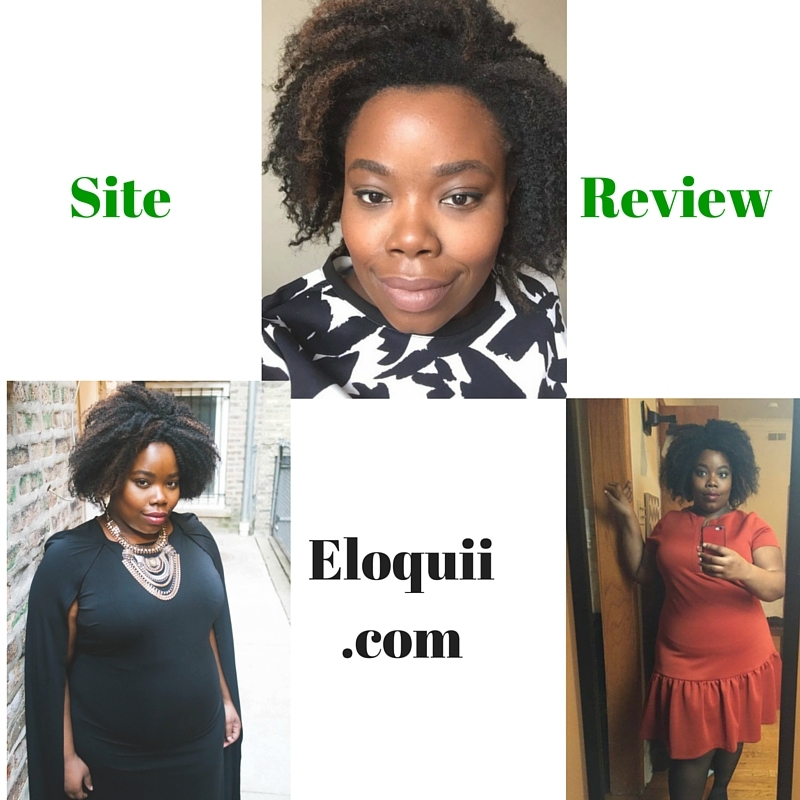 I am a couponer/budgeter at heart, so this earned Eloquii some definite brownie points. As I search around in each individual clothing section, I noticed that the website is mid to higher range in price. I am used to this pricing being a plus size woman so I clicked on a dress to see if the material warranted the price. Most of the pieces on the website are composed of a combination of polyester, spandex and cotton. I am glad to report that there is little to no rayon on the entire site. The overall style is a simplistic with a trendy edge. Some of the designs can read older and matronly, but it is balanced out with pieces that speak to current trends. When you click on a particular piece,there are 3-4 different angles as well as a zoom feature. Also in the item description are small styling tips, laundry instructions and length of item. At this point I am thoroughly impressed. Perhaps the best feature of the website is the customer review section. Very few of the items have a star rating below 3 stars. Many customers uploaded pictures and it is at this point that I was able to see how great the clothes fit on real everyday women. It also showed that many of their pieces were apple and rectangle shape friendly. I was convinced, so I ordered immediately.
. They were all 50% due to a coupon code. I got the standard $7.50 shipping and the package took 5 days to arrive. When I got the items, I was impressed by the quality of the products. The dress actually had a nice structure to it with a sleek design. Both of the skirts were well constructed and made with a thick material. Now let's talk about fit. I was still scared that my usual size 18 would be too small. so I bought both skirts in a 20 and the dress in a 22. Boy was that a mistake.They were definitely too big and I now have to take them to a tailor. This does speak to the fact that the clothes do run true to size if not a big in relation to the standard sizing system. I could have returned the items, but it honestly gave me an excuse to try out a local tailor I have been eyeing. the clothes are nice to my tummy area and actually fit my bottom well. 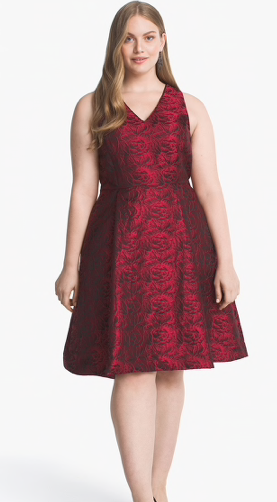 My overall opinion of Eloquii.com? I LOVE IT. It is a clean, easy site to navigate and offers a great selection of quality pieces. Check out Eloquii.com today. you will not be disappointed. Pro Tip: Whatever items you are eyeing, out in the cart and wait a few weeks. You will receive a message about your unbough items and it usually is around the time of a 40%-50% sale.